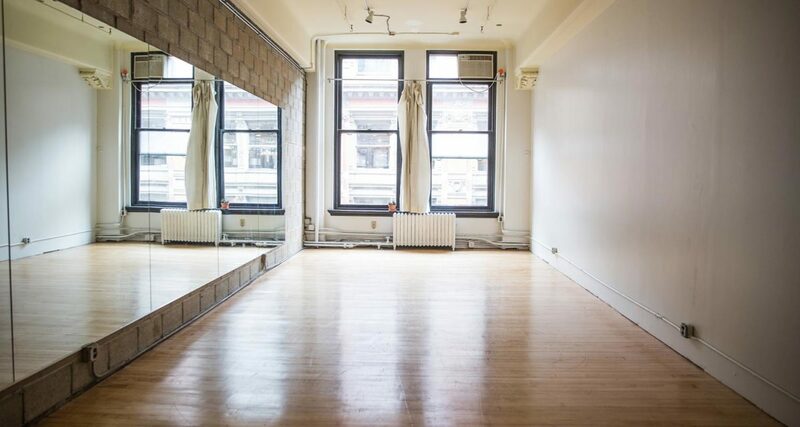 A new addition to Gibney at 890 Broadway in 2017, Studio 9 is a long and narrow space with two windows overlooking 19th Street. Located in close proximity to restrooms, water fountains, and dressing rooms. 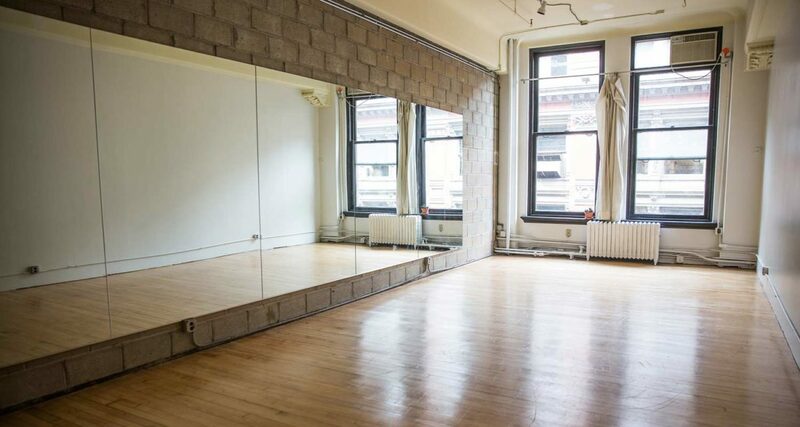 This intimate space includes wall-mounted mirrors. Use of indoor use sneakers allowed. Studio 9 was home to Broadway costume designer David Woolard from the early 2000s through 2017, and prior to that was the studio of renowned milliner Woody Shelp. Woody welcomed Gibney with open arms in 1991 when we moved into Studio 5-2, and was a great friend and neighbor and longtime tenant of the building. His space was always filled with hats and wooden head displays, and stars like Betty Buckley and Glenn Close came and went frequently. Woody’s famed designs include the Champagne-colored hats from the finale of Michael Bennett’s A Chorus Line.